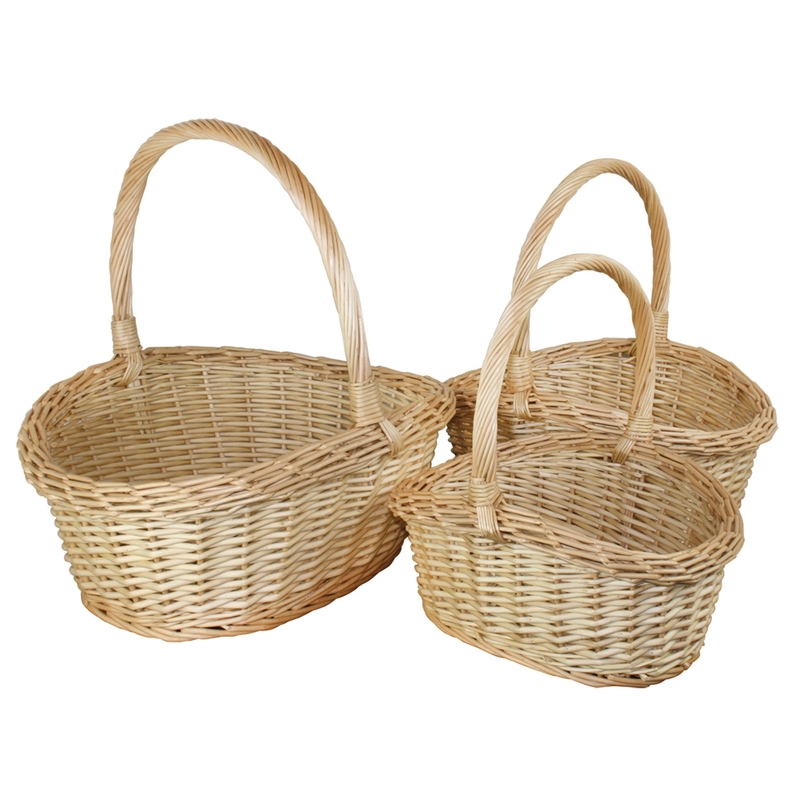 Utilise these baskets in as many ways as you please, use for shopping, picnics or simply storage in the home. Pop in bread during lunch or dinner or a selection of jams the list is endless, it's so practical. The traditional style means it suits most decors and the wicker is expertly woven so no two pieces are ever the same. Features a loop carry handle for comfort and ease of use. Perfect shop displays too. Size: L H:20 x W:43 x D:36, M H:18 x W:37 x D:29, S H:16 x W:31 x D:22cm approx.